Imagine a world where everyone is kind - how can we make that come true? 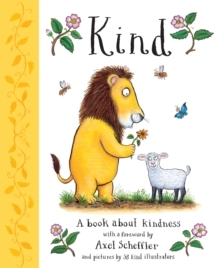 With gorgeous pictures by a host of top illustrators, KIND is a timely, inspiring picture book about the many ways children can be kind, from sharing their toys andgames to helping those from other countries feel welcome. 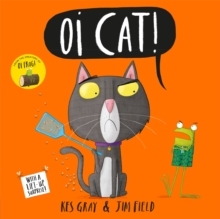 The book is endorsed by GRUFFALO illustrator Axel Scheffler, and one pound from the sale of each printed copy will go to the Three Peas charity, which gives vital help to refugees from war-torn countries. One stormy night, a group of villagers are struck by lightning. The only survivor is a baby - Mary Anning. From that moment on, a spark is lit within her. 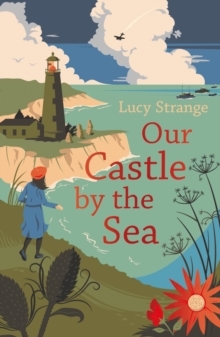 Growing up poor but proud on the windswept Dorset coast, Mary follows after her father, hunting for fossils uncovered by waves and landslips: ancient creatures, turned to stone. Ignoring other people's taunts, Mary faces danger to bring back valuable treasures to help feed her family. But tragedy and despair is never far away. 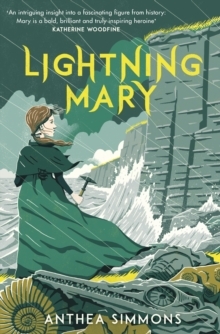 Mary must depend upon her unique courage and knowledge to fulfil her dream of becoming a scientist in a time when girls have no opportunities for such ambitions. What will happen when she makes her greatest discovery of all...? 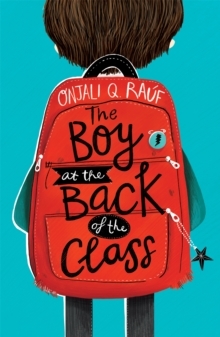 The brilliant debut from a rising star of the picture book world, tipped as 'one to watch' by The Bookseller magazine. Isobel's grandma has lost her glasses and she can't see a thing without them. While Isobel and Gran are in the garden searching for the specs, they come across a cat. A very big cat. A very big and friendly cat. The big cat moves in with them, much to the disgust of all gran's other cats. He might be good fun, but he takes up lots of space and eats every scrap of food. Eventually the new cat's mum and dad turn up, looking for their missing son. And they just happen to have found gran's glasses too. The tiger family are delighted to be reunited - and gran now sees that she's been sharing her house with... a tiger!A heartwarming and surreal romp, packed with jokes and funny details and with an underlying message of acceptance. 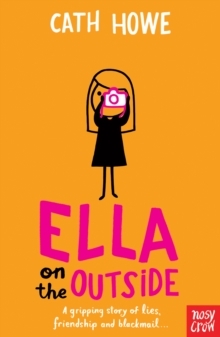 Emma's bright colours and brilliant characterisation gives the book the look of a classic from the 1970s or earlier, but with a very modern sense of humour and sensibility. Ella is the new girl at school. She doesn't know anyone and she doesn't have any friends. 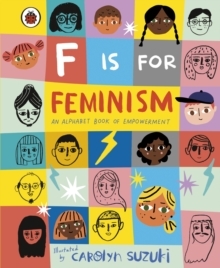 This bright and bold dictionary of twenty-six thought-provoking words from A-Z is perfect for equipping girls and boys with the words they need to empower themselves. Including:Activism: trying to change something important by making your voice heardBrainpower: your ability to come up with brilliant ideasCompassion: caring about other people's sufferingDiversity: including all kinds of different peopleEquality: when everyone is treated in the same way Feminism: fighting for equality between girls, boys and everyoneWith bright and inclusive artwork from illustrator Carolyn Suzuki, F is for Feminism is a great conversation starter, and will inspire and motivate activists of all ages. Meet the Meeks! Myrtle Meek has everything she could possibly want. But everything isn't enough. She wants more, more, MORE! When Myrtle declares she wants a FING, there's only one problem... What is a FING? Mr and Mrs Meek will do anything to keep their darling daughter happy, even visit the spooky library vaults to delve into the dusty pages of the mysterious Monsterpedia. Their desperate quest leads to the depths of the jungliest jungle where the rarest creatures can be found. But will they ever find a FING? 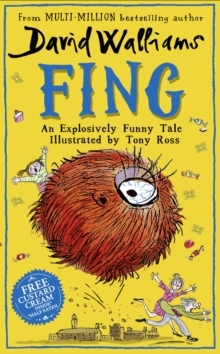 An explosively funny, totally surreal Tall Story about two perfectly nice parents and their unbelievably monstrous daughter from the phenomenal bestselling author David Walliams. 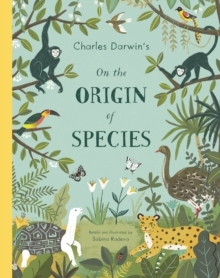 The first ever picture-book retelling of Charles Darwin's On The Origin of Species; this accessible work brings evolution to the younger generation through stylish illustrations and a simple, easy-to-understand text. On The Origin of Species has been the definitive explanation of the theory of evolution since it was first published in 1859. Now molecular biologist and illustrator Sabina Radeva unites her two passions to create a 48-page retelling of this seminal text. Pulling together Darwin's observations from his travels around the world and his groundbreaking - and controversial - explanation of how species form, develop and change over hundreds of thousands of years, On The Origin of Species is as relevant and important now as it ever was. Featuring fascinating fishy facts accompanied by bright, bold, and beautiful illustrations, this book takes children on a journey through the sea and all its zones. Touching on mammals, fish, invertebrates, and reptiles, The Sea Book explores a wealth of incredible marine animals and their habitats, from up on the ice, down to colourful coral reefs, underwater forests, and right down to the deepest darkest depths where the weird and wonderful lurk. 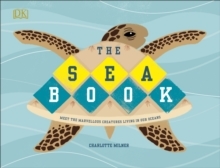 Following on from The Bee Book, Charlotte Milner continues to highlight to children important ecological issues faced by our planet, this time with a focus on marine life and the damaging effects humans are having on our seas. Children will discover what they can do to help, and there are tips on how to live plastic-free. Children will even get to craft their own recycled shopping bag! This charming celebration of the sea shows children just how extraordinary our oceans are, and is a reminder that it is up to us to keep it that way. England is at war. Growing up in a lighthouse, Pet's world has been one of storms, secret tunnels and stories about sea monsters. But now the clifftops are a terrifying battleground, and her family is torn apart. This is the story of a girl who is small, afraid and unnoticed. 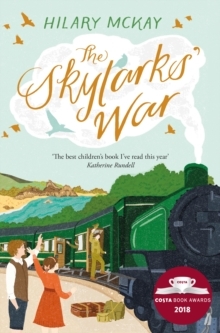 When Rupert goes off to fight at the front, Clarry feels their skylark summers are finally slipping away from them. The SIXTH book in the hilarious series from the creator of Captain Underpants! 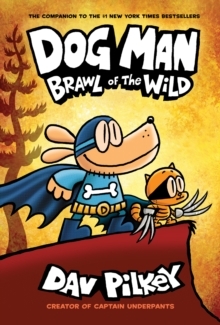 Is Dog Man bad to the bone? The heroic hound is sent to the pound for a crime he didn't commit! While his pals work to prove his innocence, Dog Man struggles to find his place among dogs and people. Being a part of both worlds, will he ever fully fit in with one? It is Chinese New Year. Madame Gazelle is teaching the children all about this very special celebration. 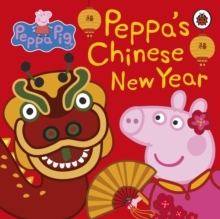 Peppa and George and their friends make Chinese New Year cards. They also try tasty Chinese treats and even take part in their very own dragon parade! From No. 1 bestselling children's author, David Walliams comes his biggest and most epic adventure yet! 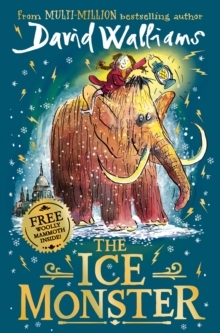 When Elsie, an orphan on the streets of Victorian London, hears about the mysterious Ice Monster - a woolly mammoth found at the North Pole - she's determined to discover more... A chance encounter brings Elsie face to face with the creature, and sparks the adventure of a lifetime - from London to the heart of the Arctic! 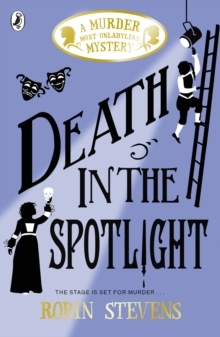 Suddenly disaster strikes when Stella's father, Felix, is snatched by a fearsome witch. Stella must bring her magic ice princess tiara to Witch Mountain or she will never see Felix again! 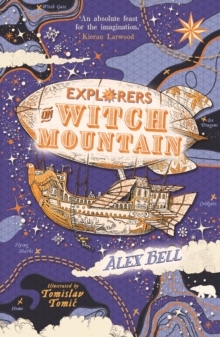 But no one ever returns from Witch Mountain... Stella, Ethan, Shay, Beanie and reluctant Jungle Cat explorer, Gideon, set off into the unknown. They will face terrifying bat caves, poisonous apple groves, outraged vultures, argumentative mushrooms and deranged broomsticks in their quest to rescue Felix. The 13th hilarious book in Jeff Kinney's bestselling Diary of a Wimpy Kid series. 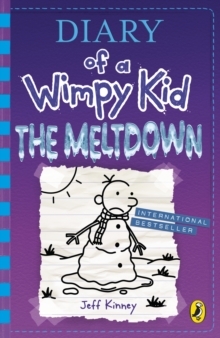 When snow shuts down Greg Heffley's middle school, his neighbourhood transforms into a wintry battlefield. Rival groups fight over territory, build massive snow forts, and stage epic snowball fights. And in the crosshairs are Greg and his trusty best friend, Rowley Jefferson. It's a fight for survival as Greg and Rowley navigate alliances, betrayals, and warring gangs in a neighbourhood meltdown. When the snow clears, will Greg and Rowley emerge as heroes? Or will they even survive to see another day?With millions of books sold around the world in 65 editions and 56 languages, Wimpy Kid has turned millions of kids into readers. 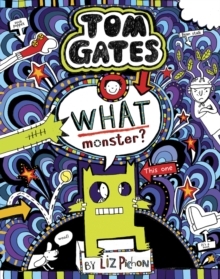 The bestselling, fully illustrated Tom Gates series is back! Winner of the ROALD DAHL FUNNY PRIZE. This book contains: - MONSTERS - MYSTERY - A MUSIC FESTIVAL - MISSING stuff - ME and Marcus (Not necessarily in THAT order). ..... but don't let that put you off! But danger has a nasty habit of catching up with the Detective Society, and it soon becomes clear that there is trouble afoot at the Rue. 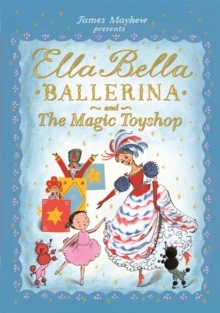 Everyone's favourite little dancer, Ella Bella Ballerina, steps into an enchanted toyshop in this magical ballet adventure. Discover a world of fairytale toymakers and dancing dolls in in this beautiful introduction to classic ballet, La Boutique Fantastique. With a sparkling foiled cover and exquisitely detailed illustrations, this is the perfect gift for all would-be ballerinas. There was once a little boy who was afraid of the dark. There's nothing unusual about that. Most children are afraid of the dark at one time of another. 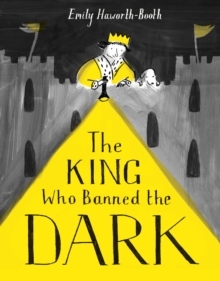 But this little boy was a Prince, and he decided that when he became King, he would do something about the dark. He would ban it. When the King bans the dark completely, installing an artificial sun, and enforcing "anti-dark" laws, it seems like a good idea. The citizens don't need to worry about any of the scary things that might live in the dark. But what happens when nobody can sleep, and the citizens revolt? Will the King face his fears and turn the lights off? 'I'm the Giant Jumperee and I'm as Scary as can be'. When Rabbit's friends Cat, Bear and Elephant come to help they are each scared away in turn by the mysterious voice. He can squash you like a flea. He will sting you like a bee. And he's taller than a tree! 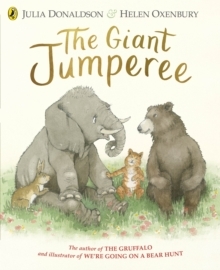 But who is the Giant Jumperee? Inspired by a traditional African tale, this is a new read-aloud classic from internationally bestselling author Julia Donaldson, beautifully brought to life by award-winning illustrator Helen Oxenbury. As seen on TV, accident-prone Mildred Hubble is the Worst Witch at Miss Cackle's Academy. She's always getting her spells wrong and landing herself in trouble. But Mildred is now in the last term of 4th Year and determined to prove that she's not as useless as everyone thinks - could it be First Prize for the worst witch after all?Mildred Hubble is the original Worst Witch. Her adventures began in 1974 and have been in print every since. Hugely successful, in 2016 Mildred's escapades with best friends Maud and Enid, were adapted for TV to much acclaim, with a second series to come in spring 2017. Jill Murphy started putting books together (literally with a stapler), when she was six. The Worst Witch was first published in 1974 and this much-loved classic has been enjoyed by readers for more than 40 years. Jill Murphy also written and illustrated several award-winning picture books for younger children. 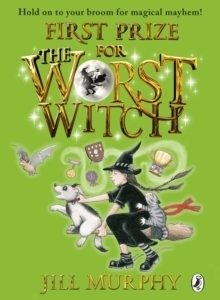 The Worst Witch series includes: The Worst Witch, A Bad Spell for the Worst Witch, The Worst Witch All at Sea, The Worst Witch Saves the Day and The Worst Witch to the Rescue and The Worst Witch and the Wishing Star. There used to be an empty chair at the back of my class, but now a new boy called Ahmet is sitting in it. He's nine years old (just like me), but he's very strange. He never talks and never smiles and doesn't like sweets - not even lemon sherbets, which are my favourite!But then I learned the truth: Ahmet really isn't very strange at all. He's a refugee who's run away from a War. A real one. With bombs and fires and bullies that hurt people. And the more I find out about him, the more I want to help. That's where my best friends Josie, Michael and Tom come in. Because you see, together we've come up with a plan. . .
Don't miss this hilarious follow-up to Oi Frog! and Oi Dog! from the award-winning Kes Gray and Jim Field. 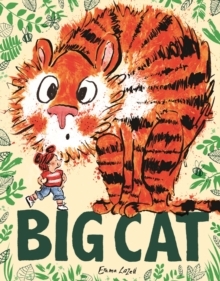 A brilliant rhyming read-aloud text, jam-packed with animals and silliness - perfect for children and parents alike. According to Frog ... Cats sit on gnats, Dogs sit on logs, Raccoons sit on macaroons, Armadillos sit on pillows and Chicks sit on bricks. It's 1979, and thirteen-year-old Lydia has no idea how she'll cope when her dad announces that the family has to sell up and move onto a Thames sailing barge in Essex. With his girlfriend. And her three kids. Between trying to keep her clothes dry in a leaky cabin, disastrous hair-dye attempts, awkward encounters with local boys, and coping with her suddenly enormous and troublesome family, Lydia fears she'll sink rather than swim . 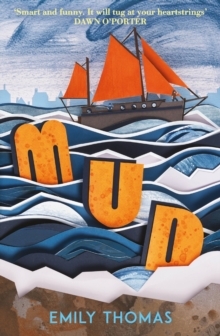 . .
At turns heartbreaking and uplifting, through Lydia's innocent and perceptive voice we find out that while the mud may stick, the tide can turn - and in unexpected and joyful ways. Little scientists will understand science in seconds with this essential homework-helping guide. Learn about everything from molecules and magnetism to rockets and radio waves and find out how a hot-air balloon rises, how erosion flattens mountains, how light waves zip through space, and how the human eye sees colours! With STEM (science, technology, engineering, and maths) subjects ever more important in today's technological world, How to be Good at Science, Technology, and Engineering is the perfect book to inspire and educate inquisitive young minds and prepare them for the future. This is the perfect homework guide for parents and their children, with all core curriculum areas of science included. Cool illustrations show the appliance of science in the real world: see how microchips, tractors, and suspension bridges work. Hands-on projects feature fun experiments to try at home or school: try polishing old coins in vinegar, or make an erupting volcano with baking soda.